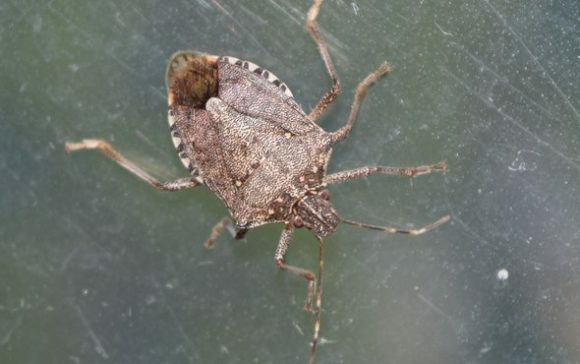 Share the post "Dina Fonseca and Team Develop a New Technique for Stinkbug Surveillance"
Close-Up Of Brown Marmorated Stink Bug. Credit: Charles Wilson Getty Images. If a farmer can grow it, a brown marmorated stinkbug can destroy it. However, by the time farmers notice an infestation, they are nearly powerless to halt it. But there is hope: Borrowing techniques from aquatic science, researchers have discovered a genetic beacon that could raise the alarm in the earliest stages of an invasion—when there is still time to act. Dina Fonseca, a molecular ecologist in the Department of Entomology and part of the Rutgers research team, found traces of brown marmorated stink bug DNA in the water farmers used to rinse their produce, as reported in a study, published in June in Frontiers in Ecology and the Environment. This sampling of “environmental DNA” revealed the bugs’ cryptic presence on farms well before traditional insect trapping techniques could do so. Read more about this promising technique in Scientific American.